Try the best hair extensions for thin hair today! 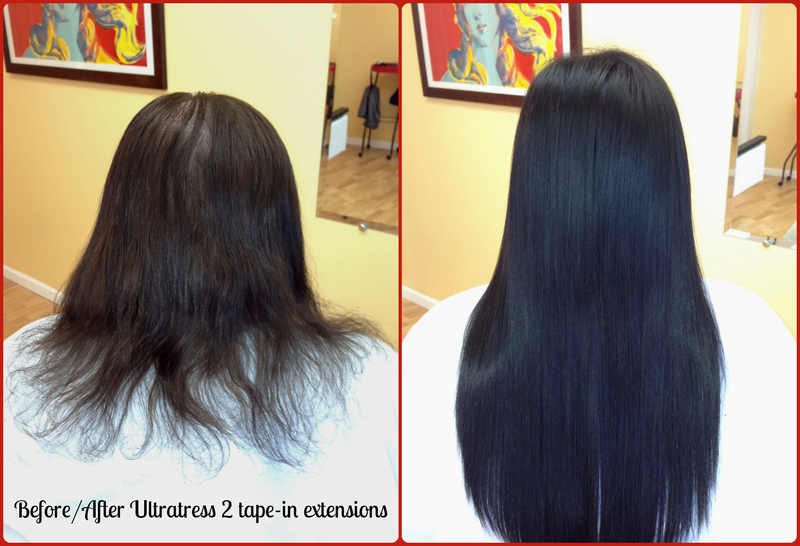 We have the best hair extensions for thin hair in Chicago! Not only do we use the safest methods, we use the best brands! Some tape-in extension brands are known for their limited color selections, poor quality hair, excessive shedding, sticky residues and slipping wefts. We’ve had the misfortune of dealing with inferior brands in the past. Our go-to favorite tape-in brand is by easihair pro. Thier easiLengths product has a proprietary medical grade adhesive tape, which when applied by a certified easihair pro stylist ensures no slippage and almost no residue when removed. The hair is such amazing quality that it can be retaped several times in some cases. The weight of their panels are specifically calculated to ensure equal weight distribution and support over the sections of natural hair that they’re attached to. Our first priority is always the integrity of your natural strands, and easiLengths poses no threat of damage to hair that may already be fine or thinning. We know your time is precious, so we offer extensions services that can be done in minutes instead of the kind that take hours. The easiLengths tape-in hair extension system provides a new way to quickly add volume, length and color making your time in the salon shorter than ever before. Our Full Volume tape-in hair extension service is a popular option for clients looking to add just a few inches or to maintain their natural length and primarily add fullness. You can work with Lindsay Mills-Steffe, one of the top Hair Extension Specialists in Chicago, to get the best extensions for thin hair. Schedule your consultation today, and have the hair of your dreams tomorrow! 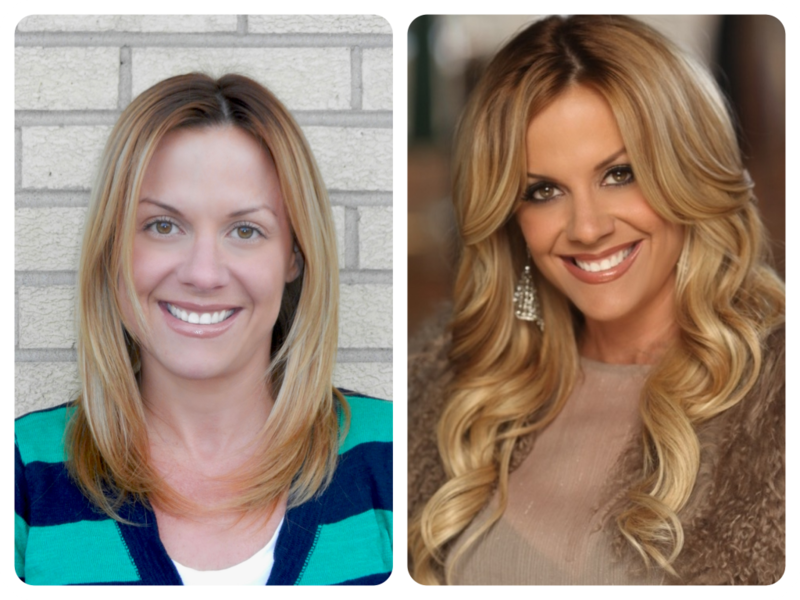 What Are The Best Hair Extensions in Chicago? We love hair extensions because our preferred brands are the best hair extensions in Chicago. They’re seamlessly integrated with your natural locks and they look so natural your friends won’t know the difference! Thin hair becomes luscious and thicker, limp hair gains body and volume, and short hair gets added length. Plus, with our favorite methods there is no damage to your natural hair. We use the safest hair extension methods on the market, so with proper at home care and maintenance the integrity of your natural strands What could be better than a red carpet hair style achieved in a few short hours in the chair? The biggest reason we love extensions is because they give us the ability to make our client’s hair fantasies come true! Everyday women just like you can have the celebrity hair style you’ve always wanted. For us, that’s what the beauty biz is all about! To get the best hair extensions, it’s important to choose a salon that has been certified to do them, like us! With our years of experience comes expertise, and we only use the finest quality human hair brands and the safest hair extension methods available. With unlimited color combinations and textures to choose from, we can easily match the extensions to your own natural hair. What does your dream hair look like? You don’t have to wait another day! If you’re looking for the best hair extensions in Chicago, CONTACT US today and we’ll make your dreams a reality. The safest hair extension method on the market today! Klix Hair Extensions are made from the finest quality 100% Remy Human Hair and are one of the safest hair extension methods on the market today. They were awarded a US Patent for their ingenuity and originality as the only movable and reusable permanent hair extension system on the professional market. Klix Hair Extensions are skin-like wefts of hair that are attached to a client’s natural strands using silicone lined micro links that protect the hair. Because the sections of Klix are applied flat to the head, they look undeniably natural and are virtually undetectable. You are free to style your hair as usual and wearing Klix will not keep you from maintaining an active lifestyle. The Klix Hair Extension application requires no heat, no glue, and no tape. The removal process chemical free, safe, easy and painless, and leaves the client’s hair in it’s original, pre-Klix condition. They truly are the safest hair extensions around! Click the “Schedule an Appointment” link to the right to secure your free hair extension consultation today. You can have the hair of your dreams tomorrow!